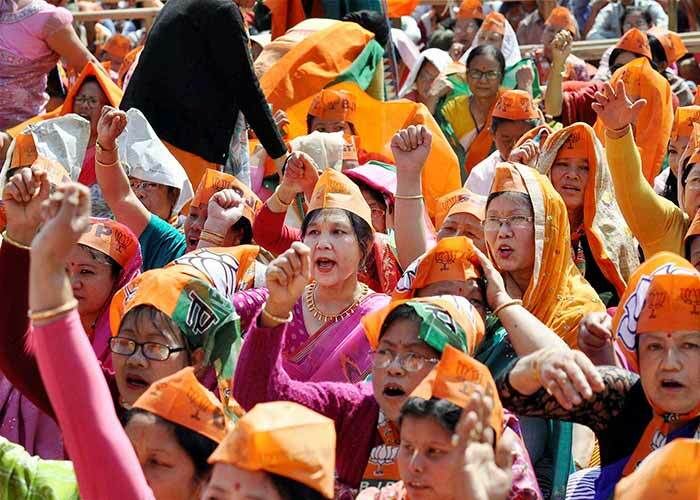 As the Assembly elections for five states draws to a close, Manipur, one of the Seven Sister states of the northeast, is all set to vote on March 4 and 8. The state's 60 seats are up for grabs in the elections that will take place in two phases. In the first phase, voting will be held for 38 seats, polling in the remaining 22 will take place on March 8. Altogether, 18 lakh people will elect the new government in a contest where the BJP is hoping to wrest power from the Congress, which has been ruling the state for the last 15 years. Manipur's Iron Lady, rights crusader Irom Sharmila, who recently launched her political party Peoples' Resurgence And Justice Alliance or PRAJA is contesting against the three-time Chief Minister Okram Ibobi Singh from Congress. The counting of votes for all five states will take place on March 11. 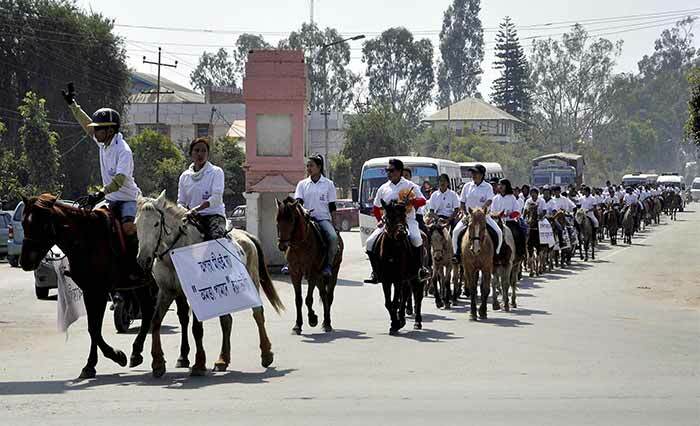 Days ahead of the elections, pony lovers take in a rally to spread awareness among people on voting in Imphal on Sunday. 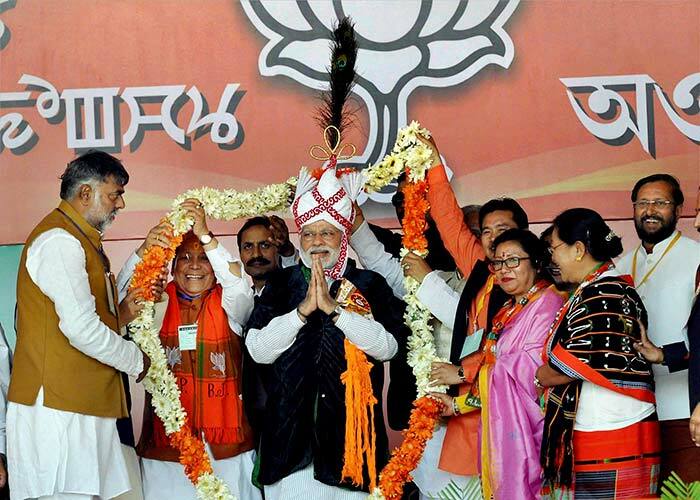 PM Modi along with senior BJP leaders at an election rally at Langjing Achouba ground, Imphal West on Saturday. 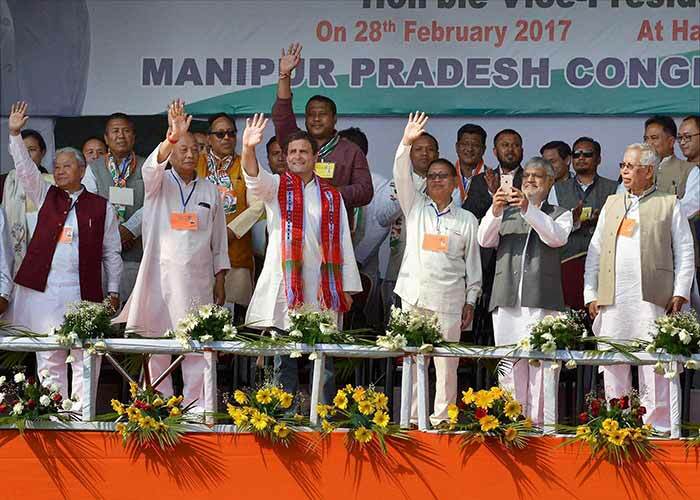 Congress vice president Rahul Gandhi and Manipur Chief Minister Okram Ibobi Singh at an election campaign rally ahead of the Manipur Assembly elections, in Imphal on Tuesday. 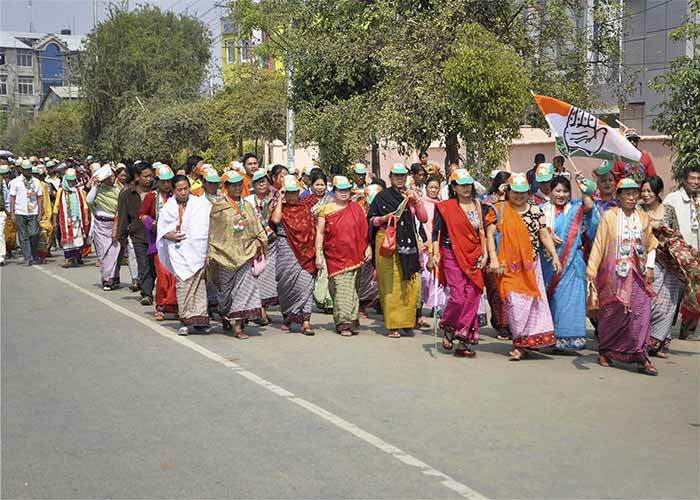 Congress supporters during an election campaign for Assembly polls at Hapta Kangjeibung in Imphal East on Tuesday.